3 Bedroom Semi Detached House For Sale in Sheffield for Guide Price £105,000. 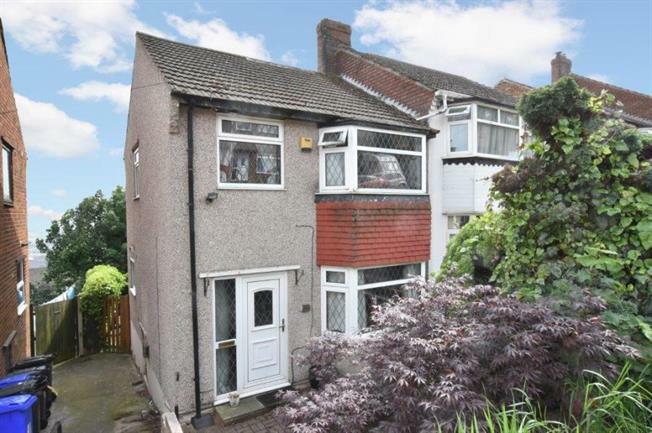 Priced for a quick sale is this attractive three bedroom semi detached property with gardens to both sides. Located near to local bus routes and schools yet within easy access to the M1 motorway and Meadowhall shopping complex. Accommodation comprises, entrance hallway, kitchen, through lounge dining room, three bedrooms and bathroom. Offering gas central heating and double glazing, ideal for a first time buyer or young couple. Viewing recommended.